Hollywood seems to kind of have a thing for recruiting. Sure there’s the romantic comedy, drama, action, adventure, and horror flicks, but if you take away that outer layer of genre, hidden beneath the surface sits the topic of recruiting. From the chick flick Mean Girls, where Regina and her posse seek out Cady to be a part of their exclusive group to the drama Braveheart where William Wallace builds and leads a group of Scots to war against King Edward the I of England, these movies — while wholly different — have the same underlying theme: attracting and retaining individuals to be a part of a community or group. Wait…hold up? Are we saying William Wallace was a kilt wearing recruiter? Yeah, pretty much. So, we decided to put on our cinephile caps (which was a blast FYI), and come up with six movies that when watched may not seem like they are about recruiting, but when you dig a bit deeper — it’s really the heart of the whole darn thing. This classic Ferrell-fueled comedy jokes on college humor and fraternity culture, but it also teaches a few things about recruiting. While taking into account a candidate’s years of experience as well as their salary and benefits requirements are important, a good recruiter knows not to write someone off because they don’t fit in with a young company. This comedy shows that there is common ground to be found between twenty-year-olds and forty-year-olds. Maybe not ninety-year-olds though (You’re my boy, Blue). Oakland A’s General Manager Billy Beane goes a bit rogue in this Michael Lewis bestseller turned blockbuster. Beane, working with a limited player payroll and a lot of internal pressure, must put together a great team for the 2002 season. By looking to Peter Brand, a young Yale graduate and die hard follower of Bill James’ sabermetrics approach, Beane realizes sabermetrics’ focus on On Base Percentage is the key to scouting players. So, we’re not talking about home run hitters or big name ball players, but guys who play lean, mean, and, at times, unorthodox baseball. With this approach, Beane and Brand are able to bring players to the A’s who not only are affordable, but also win games — like a lot of them. Lesson learned: Don’t get starry-eyed over the big hitters. You don’t need to recruit a team of All Stars to have a winning formula — because even though we all like the huge winning numbers, small individual gains can make a BIG difference over time. This one is more of a post-placement tip, an area of recruiting that is often overlooked. Smalls, the little guy who can’t catch (or throw), apprehensively joins the local kids on the diamond, only to be ignored by most of them. 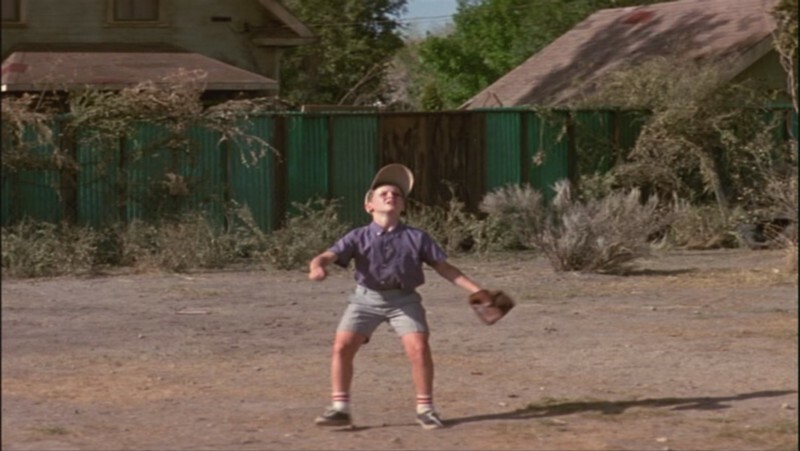 Smalls ends up standing in the outfield with no training, and it doesn’t take long for him to miss the ball, heading home with a black eye. If you bring your new hire into the workplace and throw them into a corner without training or resources, they’re more likely to drop the ball and leave. Be sure to take care of your candidate even after they sign onto the job, as they won’t have a mom to coax them into returning to the diamond. 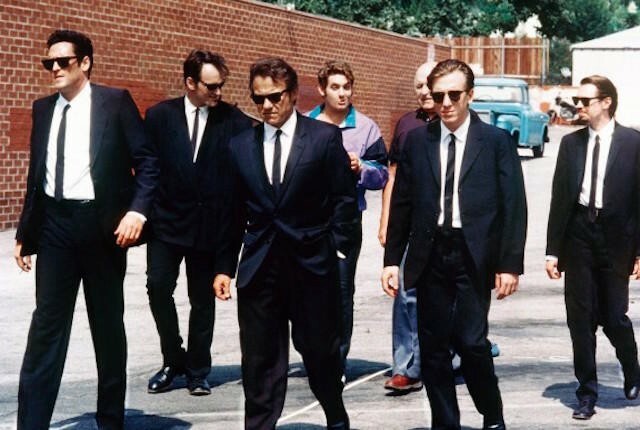 Quentin Tarantino’s classic heist film featuring the guys in matching suits with colors for their names, teaches us the limits to trusting candidates. Obviously, don’t go around assuming your candidates have something to hide, but don’t forget to do a little due diligence. In this movie, one of the crew members is actually a cop, and naturally chaos ensues when he starts to undermine the plans of the criminals (not to compare your business to that of jewel thieves of course). Things get stickier when one of the criminals vouches for the undercover cop, pulling the team further apart. The crew didn’t do themselves any favors either by using anonymous code names with each other. The recruiting moral here is: Do your homework on candidates, and know your people. 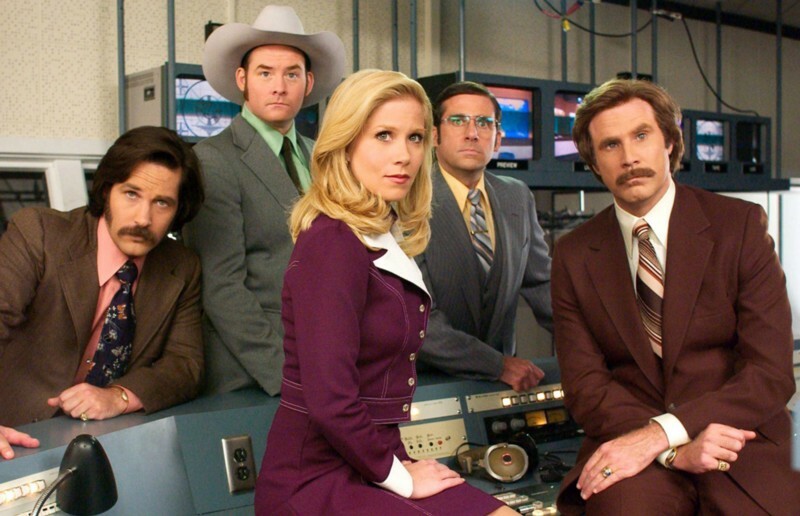 In Anchorman, the Channel 5 news team needed some diversity training before Veronica Corningstone was brought aboard. Obviously, we hope that your team would not be quite as unprepared for a new hire as they were, but you still may need to prep your team in similar (but not as drastic) ways. In the film, the anchors are threatened by the new hire because she’s a woman, and in your circumstances similar friction could occur around a new hire for different reasons. It is not uncommon for employees to be threatened by a new hire or threatened by the search for new candidates, so it is crucial for you to prepare your team to react positively to your growth. The Frank Sinatra / Rat Pack Classic got a reboot in 2001, as George Clooney’s Danny Ocean and his partner-in-crime Rusty Ryan recruit eight former colleagues, sleuths, and criminal specialists, including a pick pocketer, two troublemaker mechanics, a con man, and an acrobat, to pull off one of the greatest heists Las Vegas has ever seen: rob the Bellagio vault of nearly $150 million. The team, while eclectic, mildly neurotic, and, at times, immature and brash, are great — well, actually, the best at what they do. 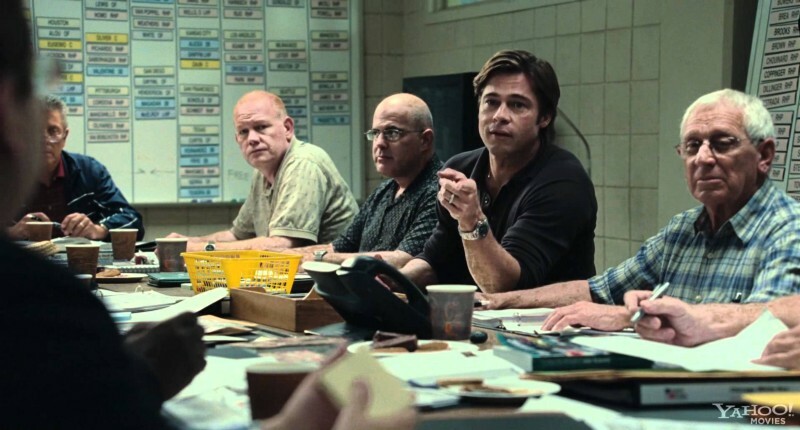 We’re not saying to hire con artists at your company, but Ocean’s 11message is simple: Recruiting for talent and skill can only make your team that much stronger and better. 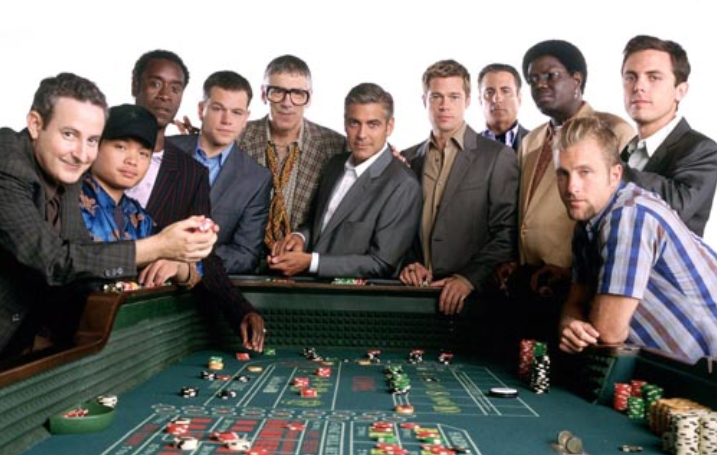 Build an awesome team like Danny Ocean did, and, someday, instead of robbing $150 million from the Bellagio, you might just get bought for that same amount.